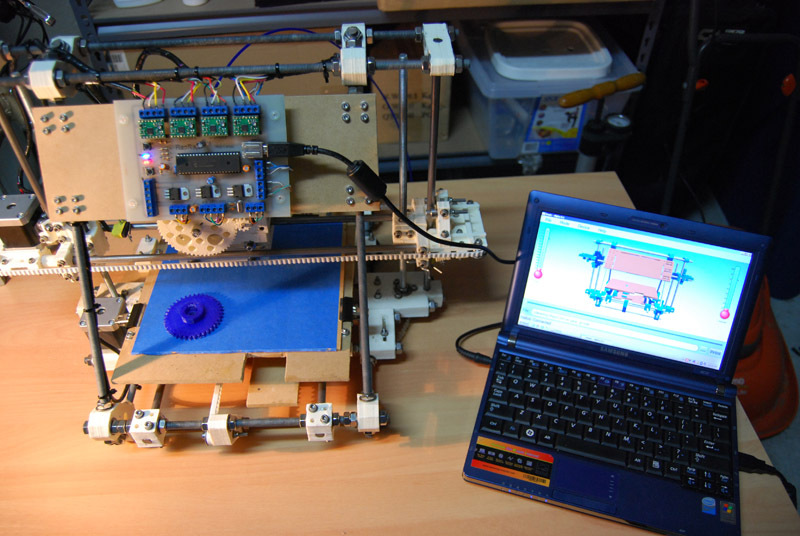 hi i'm a very curious on-looker (so far) to the reprap project. Last I read machines were producing 50% to 70% of their parts, and none of the small metal parts. Does your machine really do 100%, including all metal parts? Great work!! 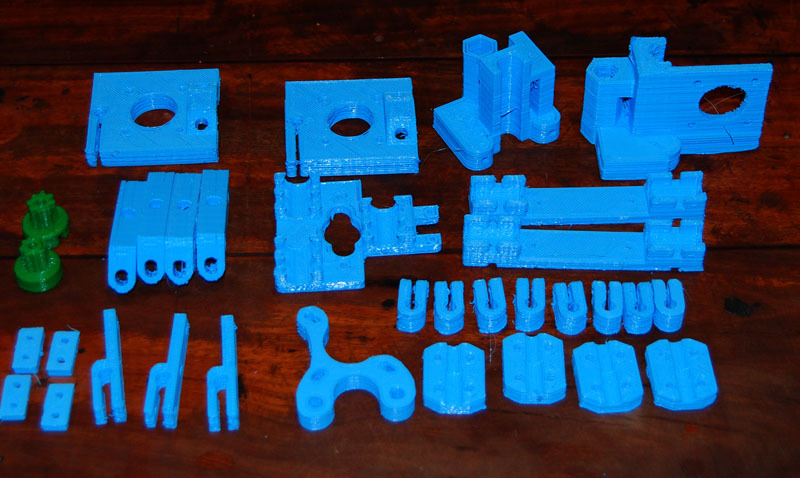 No, only the plastic parts are printed by the RepRap, and on a mini-Prusa the ratio is significantly smaller. 100% replication is still a long way off, but there's a lot of active research going on and progress is slowly being made.